From San Jose Airport, fly to Golfito. There are two domestic airlines that fly to Golfito. They both have high season (December to April) and green (low) season schedules. High season Sansa flights run at 5:35 am (arriving at 6:33 am), 10:15 am (arriving at 11:13 am), and 3:15 pm (arriving at 4:43 pm). Sansa baggage fees can be found here. Nature Air high season flights run at 6 am (arriving at 6:40 am), and 3:30 pm (arriving at 4:25 pm). Nature air baggage fees can be found here. The flight costs about $90 one way. You can book with them in advance from your home country. From Golfito, the easiest way to get to Pavones is by taking a taxi, which should cost about $80 one way. Make sure it is an official red taxi. Ask for a taxi with 4 wheel drive (quatro por quatro), which is not absolutely necessary but makes for a smoother ride. Most of the taxi drivers are helpful, honest and reliable. We recommend Alex (8826-0800). From San Jose: When you get to San Jose ask a marked red taxi to take you to the Tracopa bus station and take a bus to Golfito. There are two routes, one leaving at 6:30 am that travels the Costanera (beach highway). If you want to save half an hour of sleep time you can take the 7:00 am departure that takes the twisty-turny Cerro de la Muerte (Death Mountain) route. The second route is a bit more dangerous, and you will want to pack a sweatshirt for the bus ride, since it passes through the chilliest parts of Costa Rica. The earlier departure is recommended, because it is faster and well, doesn’t contain the word death in the route’s name. It is advised to purchase your tickets a day in advance to ensure a spot on the bus. Be sure to check your ticket for the right time and date. Fare: 7,680 colones. Get off at the hospital bus stop in Golfito and cross the road to the bus stop. Get comfy for you will have to wait a couple hours for the 3 pm departure to Pavones. This first bus stop is especially recommended if you have a lot of luggage, since it guarantees sitting space for yourself and your stuff. There are always vendors outside the hospital selling drinks and snacks. If you want a beer, take a marked taxi to the nearest super market! There is an ATM nearby at the COOPALIANZA bank that you can walk to and another a bit farther up at the Banco Nacional . Be sure to visit it if you don’t already have ample cash. There are no ATM machines in Pavones! From Panama: In the border town of Paso Canoas take a marked collective taxi (taxi collectivo) (1,000 colones) to Laurel. The bus stop is next to the Mega Super in Laurel. The bus leaves for Conte at 11:00 am and 4:00 pm. To be safe, leave Paso Canoas half an hour before the bus departure. In Conte you will switch buses to Pavones. There are ATM machines in Paso Canoas (Banco Nacional and Banco de Costa Rica) and Laurel (Banco Nacional). Be sure to visit it if you don’t already have ample cash. There are no ATMs in Pavones. Head west out of San Jose on Highway 3. Highway 3 will then merge onto Highway 27. Take Highway 27 west for a bit, then take Highway 34 south. This is the Costanera (Coastal Highway). As you pass the Tarcoles River tourist trap you may want to join the others in viewing the giant crocodiles that live under the bridge! Continue on, passing through the beach towns of Jaco, Playa Hermosa, Manual Antonio and Dominical. After about 5 hours you will reach a town called Palmar Norte. This is the most affordable place to fill up on gas and close to your last opportunity to do so! Take a right, heading south, at the intersection which then becomes the Inter-American Highway (Highway 2). Continue on this road towards Rio Claro de Golfito. Upon arrival in Rio Claro de Golfito take a right at the main intersection in town on Highway 14, heading towards Golfito. In Rio Claro make sure your gas tank is full and that your wallet is packed with cash, as there are no banks, ATMs or gas stations in Pavones. After about 10 kilometers make a left turn at the Salon El Rodeo (Rodeo Bar). If you reach Golfito you have gone too far. Cross the one-way bridge at Rio Coto. FYI: not too long ago, before the bridge was built, all vehicles had to cross this river on a barge. About 2 km after crossing the bridge you will come to a small town called Pueblo Nuevo. Take a left and then a right around the soccer field. Continue for another 2 km, then make a quick right, keeping your eyes peeled for the Pavones sign. After about an hour you will approach a small crossroads town called Conte. Take a right after you pass the school, following the signs to Pavones. This is where Pavones’ youth attend high school and hosts the nearest health clinic to the beach. You’re almost there! 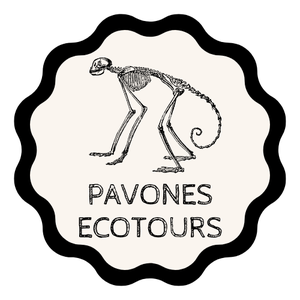 FYI: So as to arrive to Pavones as a more informed visitor, when one crosses into Conte, you are technically in Pavones. This is because the district of Pavón starts here. The actual town of Pavones is really called Río Claro (de Pavón). Take a left at the “Y” intersection just past Conte. Follow the road and signs to Pavones. BTW: Taking a right will lead you to the other beach town called Zancudo, meaning “mosquito” in Spanish. After descending the mountain you will have reached the beach at the “town” called Pilón. Welcome to Pavones beach! Take a left and continue about 5 km. As you enter Pavones you will pass the last bridge before arriving to town. At the plethora of signs turn left and continue about 1 km. FYI: Taking a slight right will also bring you to Pavones town, but the road is no longer maintained and is full of potholes. You know you have arrived “in town” when you reach multiple buildings and another plethora of signs. Where you go from here depends on your final destination. Paso Canoas is the bustling border town of Costa Rica and Panama. Despite its seedy nature, you grow to love it when the taxed prices at the Pavones’ markets no longer fit your budget. This is a great place to load up on groceries if you plan on preparing your own meals while visiting Pavones. This is also where you can purchase duty free alcohol and cigarettes, if that’s your thing. Once you make it through migration with your vehicle, which seems to be more complicated these days, turn left. The Panamanian side is to your left, where the prices are considerably cheaper than the Costa Rican side. Some recommended stores where you can find a great variety of food products include City Mall, Jerusalem and El Descuento. Just ask. They are all to the right after crossing the border. Most duty free stores are to the left on your way out of town. On your way out of town you will pass the most affordable Panamanian gas stations. Fill up here, as there are no gas stations in Pavones! Continue on to a town called La Cuesta. At the end of the public park take a left and then your next right. After about ten minutes you will reach a town called Laurel. Laurel is the last chance to visit an ATM. Banco Nacional, directly in front of you at the intersection, has an ATM. There are no banks or ATMs in Pavones. At the intersection in Laurel take a right at the Mega Super. Shortly thereafter there will be a gas station, if you did not take advantage of the Panamanian prices, fill up, as this IS the last chance to do so. After about 15 minutes you will approach a huge landmark which is a palm fruit processing plant that has the largest bio-digester in Costa Rica. FYI: The monoculture of palms that you see all around are African palm, which are grown to extract African palm oil, a huge part of the economy in the southern zone of Costa Rica. Drive another 30 minutes or so and you will approach a crossroads town called Conte. This is where Pavones’ youth attend high school and the location of the nearest health clinic to the beach. You’re almost there! FYI: So as to arrive to Pavones as a more informed visitor, when one crosses into Conte, you are technically in Pavones. This is because the district of Pavón starts here. The actual town of Pavones is really called Río Claro (de Pavón). After descending the mountain you will have reached the beach at the “town” called Pilón. Welcome to Pavones beach! Take a left and continue about 5 km. As you enter Pavones you will pass the last bridge before arriving to town. At the plethora of signs turn left and continue about 1 km. FYI: Going straight will also bring you to Pavones town, but the road is no longer maintained and is full of potholes. You know you have arrived “in town” when you reach multiple buildings that are our two “supermarkets.” Where you go from here depends on your final destination.